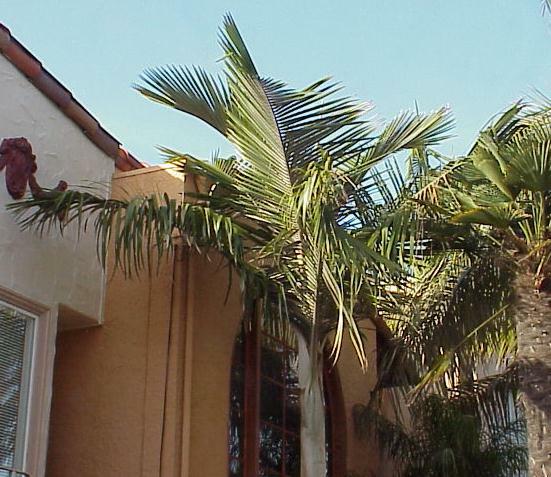 This palm is cold tolerant to the low 20�s and has a single trunk about 12 inches in diameter and grows to over 60 feet tall with a spread of about 10 feet in diameter. The leaves are pinnate with white undersides and is very striking adding a pleasant contrast against other colors in any landscape. Growing at the highest altitude of any palm at an incredible 10,000 feet above sea level, this is likely to be the hardiest of the Ceroxylon Genus, and the one to plant in the shady, sheltered garden. The name 'Ceroxylon utile' has frequently been applied to plants of this species growing at high altitudes in Colombia. Ceroxylon utile has been reported to grow to altitudes of just over 13000 ft in the Andes near Volcan Chiles, located on the border between Colombia and Ecuador Throughout the Andes, the young leaves, entire trees are cut for the decoration of churches on Palm Sunday, making this palm increasingly rare in its native habitat. Ceroxylon parvifrons is practically unknown in cultivation outside Ecuador and Colombia. You will find this in the finest palm gardens including the Oakland Palmetum. Rich, acid soil and plenty of moisture is appreciated by this tree.